From December 2015 through until March 2016 I worked with Barking Spider Visual Theatre to create a public artwork for the Wyndham City, Victoria, Australia. This very special project is to commemorate the ANZAC Centenary, with a focus on the what happened at Gallipoli and the Western Front. 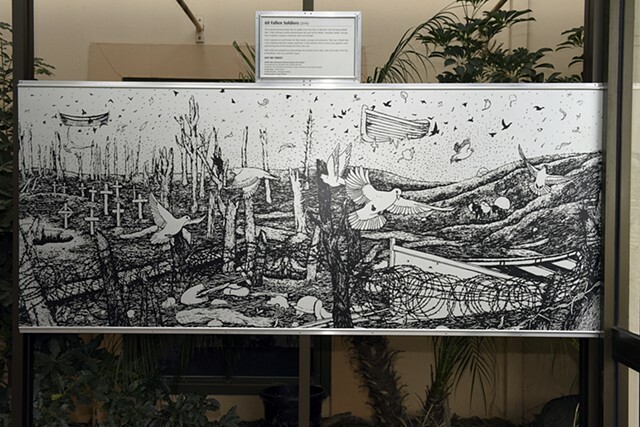 This project was part of the “ANZAC Day Centenary Commemorative Arts Project” which aims to serve as both a commemorative and public artwork that incorporates public education. The artwork will draw upon and present the local history of the World Wars and will map the service histories of 60 fallen Wyndham ANZACS. Wyndham City together with the Werribee RSL was successful in receiving a grant for this project from the Department of Veteran Affairs. These grants are designed to encourage public awareness of the centenary year of World War I.